Mary’s or on eBay or at Worthing Museum. Without the tremendous support of the Gaisford family in the 1860’s, in particular Thomas who was a convert to Catholicism,the story of St Mary’s may well have been so different. Thomas Gaisford, and his second wife Lady Emily, gave considerable support in effort and money to provide the ﬂedgling Catholic Community in Worthing the church they so needed and desired. In 1858 Thomas heard that a Mr. James Basil Daubuz, the High Sheriff of Sussex, wanted to sell his home, Ofﬁngton Hall, with the surrounding estate in Worthing, Sussex. The property was ideal for a man who was planning to marry again soon. The house and 121 acres cost Thomas £11,400. The purchase was completed and his extensive alterations and additions included a chapel which became the ﬁrst place of Catholic worship in Worthing. It was reported that Thomas was ‘one of the earliest converts of the Tractarian movement, the trusted friend of Newman and Manning and a pillar of the Roman Catholic Church in the South of England’. Just nine years after his marriage, Thomas was dealt a terrible blow when his dear wife unexpectedly died, possibly during childbirth, aged just 39 years on November 6 1868. Lady Emily was interred in the vault inside the church of St. Mary of the Angels by Bishop Grant on November 11 with an infant child. In 1850 a Roman Catholic hierarchy was re-established with Cardinal Wiseman arriving in September as the ﬁrst Archbishop of Westminster. Twelve bishops were given territorial dioceses under the Cardinal Archbishop. One of these Bishoprics was that of Southwark, south of the river Thames and including Surrey, Sussex, Hampshire, Berkshire, the Isle of Wight and the Channel Islands. On June 27 1851 Dr. Thomas Grant was appointed Bishop of Southwark and was consecrated on July 6 in Rome by Cardinal Franzoni. He guided his newly formed diocese for nineteen years, agreeing to the formation of many “Missions”, including Worthing. The Gaisfords had organised a Chaplain to celebrate Mass in their new chapel in Ofﬁngton Hall and allowed the small local Catholic community to attend Mass at their home. In 1859 Count de Torre Diaz and a few other Catholics petitioned the Bishop to open a Mission in Worthing ministered by the Rev. Wollett, chaplain to Ofﬁngton Hall. A Mission Church was opened using the chapel in his home, Augusta House, in Augusta Place. The Mission needed a formal home near the town centre and Bishop Grant was very keen to develop the Mission in Worthing. His aim was to provide a resident priest with a formal church building for worship. To this end he looked to another Catholic institution for co-operation. He approached the Sisters of Our Lady of Sion with a proposition which they agreed. So the interaction of parish church and convent with school began and this has lasted for more than 150 years. “Near this town, called “the English Nice” because of its mild climate, the highly respected Major Gaisford, one of the converts to Catholicism, was residing in Offington Hall. This gentleman had conceived the idea of building, in entirely protestant Worthing, a church corresponding to the needs of Catholics drawn there by the attraction of the beach. With the co-operation of a teaching Order, the Bishop was hoping to make this church the centre of a flourishing mission. The providential establishment of the Worthing Foundation is such that we can perceive many fruitful blessings in it”. Thomas Gaisford found a suitable site and conferred with Bishop Grant about the purchase of land. The Order of Our Lady of Sion agreed to the proposals put forward by the Diocese. Temporary premises were purchased for the Sisters in North Street in November 1862 and made suitable. A Chapel was created in this building, Wortley House, capable of holding about 14 people and from November 9 Mass was celebrated there using the altar and vestments passed over from Ofﬁngton Hall. A list of ‘Subscriptions for purchasing the site and building a permanent Chapel at Worthing’ …’was noted in February 1862. Mr. Gaisford of Ofﬁngton gave £1000, Rev. Ignatius Collingbridge £115, Mr. Hope Scott £100, Lady Emily Gaisford £50, Charles Gould gave £25 and the Duke of Norfolk, Henry Munster and N. Power gave £10 each. The donations totalled in all £1447.14.0. All parties agreed to the purchase of a plot of freehold land covering an area stretching south of Richmond Road between Crescent Road and Gratwicke Road. The price was £248.10.0 and the site was bought in October 1862’. On April 14 1863, the conveyance of the land was completed. Henry Clutton an expert in French medieval architecture, was asked to draw up a design for a combined church and convent. He chose the use of red brick, Bath and Pulborough stone and ﬂint. The design allowed for the easy future extension when required. The contract to build ‘a part of a New Catholic Church in the said Town of Worthing’ was given to the local ﬁrm of Blaker and signed in the presence of the Bishop. Thomas Gaisford undertook to pay the sum of £1081 being 80% of the expected costs. The residual money of 20% would be paid three months after completion and delivery of the building. Bishop Grant laid the foundation stone of Our Lady of the Angels on May 4 1863. The ceremony was witnessed by a large crowd, Catholic and non-Catholic. On February 10 1864, Fr. Fannan left the Mission. On May 29 1864, the new church of Our Lady of the Angels was ‘Privately’ blessed and the ﬁrst mass celebrated. On July 9 1870, the Rev. James Purdon took charge. The entry for November 11 1870 showed how within a few months the new priest was industriously active. In Shoreham a small schoolroom formed out of an old stable, was to serve as Chapel and School and was opened in John Street, where Mass was celebrated by Fr. Purdon on that day. In 1875 the Mission of Shoreham gained Church, School and Presbytery these being paid for by (Augusta) Duchess of Norfolk and from this time Shoreham ceased to be a part of the Worthing Mission. Fr. Purdon’s notes relate that in April 1873 new works to St Mary’s giving the church a cruciform shape, were commenced for the chancel, transept, sacristy, tower and school room. The expenses being entirely defrayed by Thomas Gaisford. Three handsome stained windows in the chancel were given by Thomas Gaisford, the founder and benefactor of the Mission, as a memorial of the Lady Emily Gaisford R.I.P. Under the column which supports the arches of the chapel of the Sacred Heart was placed an iron box containing a document and various religious objects together with stones taken from all the Catholic ruined ediﬁces in the neighbourhood. On November 12 1873, the new buildings were solemnly blessed and opened by Bishop J Danell and the Altar of the Sacred Heart was consecrated. The relics of Saints Anastasius, Venantius and Victor were placed in the Altar. Sixteen priests assisted at the Pontiﬁcal High Mass. The young Duke of Norfolk with many other persons of distinction being present. Conﬁrmation was administered in the afternoon by the Bishop. In August 1882, works were commenced on the building of a new transept and chapel for St. Joseph. The whole expense was paid for by Thos. Gaisford. In that year two stained glass memorial windows were put in the church in memory of Mr. Gaisford’s eldest son and two other children who died in infancy. They depicted St. Charles Borromeo and an Angel Guardian. On February 26 1898, Fr. Purdon wrote in his Journal that ‘Thomas Gaisford, the founder of and generous benefactor to the Mission, died at Ofﬁngton. R. I. P. A sad day and an irreparable loss to the Mission and many others’. On March 2 1898, he again included the fact that ‘Thomas Gaisford was buried in his own vault as principal benefactor of the Mission’. The Mass was said by Rev. J. Purdon, the friend and confessor for twenty-seven years of the deceased. Great public sympathy and respect was shown in the Town and at the funeral; all the papers giving the ‘most truthful and highest praise of the deceased, both in his private and public character’.On March 2 1898 the Worthing Gazette reported, ‘The deceased gentleman, whose health had been declining a considerable time – several months having elapsed since he last attended the Worthing Bench to discharge his magisterial duties –became a victim to inﬂuenza about a week ago. Pneumonia supervened, and although every effort was made to restore him to health, he sank under that formidable disease. A large-hearted and broad-minded man, he never strained the law to the detriment of anyone who had the misfortune to be brought before him and if he strove to hold evenly the scales of justice, any redeeming feature in a case was marked by a compassionate leniency in his decision. In 1890 he ﬁlled the vacancy of Chairman of the Worthing Bench. Last evening the body of the deceased was removed from Ofﬁngton to the church reposing beneath a catafalque and surrounded by lighted candles. A brass Calvary cross extended the full length of the cofﬁn’. 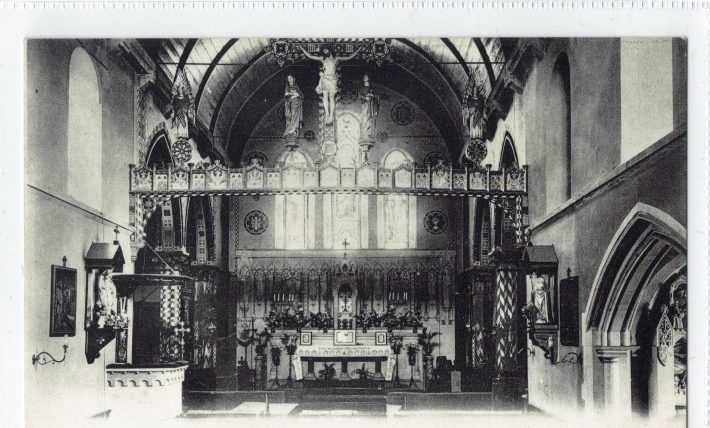 On April 5 1900, important additions to the church were commenced including a new Aisle and Baptistery and enlargement of the Porch and Sacristy. The whole expense (about £1000) being paid by the Dowager Lady Loder; the architect was Mr. Walters the same who designed the reredos. In October 1902, a beautiful Altar, dedicated to the Holy Souls, as a memorial shrine to the deceased Catholic relatives of the Dowager Lady Loder was erected in the North Aisle, at her ladyship’s sole cost. The designs were by F. A. Walters, the sculpture by the renown Nathaniel Hitch and the stone work by Hatch of Vauxhall. On November 15 1907, the Dowager Lady Loder died, She had been a convert to the Catholic Church for about ten years and a member of the Worthing congregation; during that time several important and costly additions were made in the church. In 1908 it was recognised that Fr. Purdon had completed, single-handedly, thirty eight years work in church and parish. On the 4 September 1917 Bishop Amigo made Fr Purdon an Honorary Canon. On October 20 1923, Canon Purdon died by which time he had given ﬁfty-three years of his priestly life to the parish of Worthing. connections to the town who lost their lives. W T Gaisford Lieutenant Colonel, Seaforth Highlanders, 7th Bn., died 25.09.15, aged 44. His body was never found. He is also commemorated on the Loos Memorial and Scottish National War Memorial, Edinburgh Castle. Walter Thomas was the son of Thomas Gaisford and his last wife, Lady Alice Mary. On November 27 1923, Fr. Charles Westlake came to Worthing. His plans and Fr. Purdon’s before him, began to be fulﬁlled when in 1928 he bought land on which to build a school. It opened in August 1929 with 240 pupils, being junior and senior students between the ages of seven and ﬁfteen years enjoying for the ﬁrst time the beneﬁts of a purpose built school. The schoolrooms in the church grounds, named St. Joseph’s, were retained for the education of the infant children between the ages of ﬁve and seven years. The new school was called St. Mary’s and the ﬁrst Headmaster was Mr. Albert E. Joy. Extensions were added in 1935 to accommodate a rapid increase of entries at which time the present school hall was built. large enough to accommodate the Canon and the three curates now in residence. bungalow owned by a Mrs. Berry. In December 1935, a barn with attached land was bought in Goring to be used after renovation as a Mass centre. The area of land would be sufﬁcient to provide adequate space for a purpose built church. Later, in East Worthing at the Dolphin Public House, with the agreement of both the owner and the licensee, a hired room became a venue for Mass celebration on Sunday. Extension of the mother church itself, however, was desperately needed. Plans were drawn up and work commenced in 1938 to extend the nave westwards. In 1938 land was acquired at the northern end of Cotswold Road, Salvington. A corrugated iron and asbestos chapel of ease was built for those parishioners in the area of this extremity of the parish. In the early 1950’s Canon Westlake had the foresight to buy a plot of land at the corner of Chesswood Road and Ham Road in East Worthing. Canon Westlake then bought land at Goring in 1953, and this was used for Chatsmore Catholic High School. It was at ﬁrst called St. Mary’s until 1959 when it became the Blessed Robert Southwell. Due in some respect to pressure from the Local Education Authority, in 1973 after enlargement, its name was changed to Chatsmore. St. Mary’s school became a primary school including an infants’ department ﬁlled by those who had previously used the school rooms in the car park. All Canon’s plans had come to fruition. To add icing to his cake, John Stone and David Patterson, two sons of parishioners, were ordained to the priesthood at St. Mary’s in June 1956, by Archbishop Cyril Cowderoy of Southwark. Canon Westlake passed away on March 1 1958 aged 79 years after serving the parish in Worthing for 35 years. Denis Patrick Wall was ordained on 3 June 1944 after completing his training at Wonersh. He was Chancellor of the Diocese from 1952 until 1958, when he came to Worthing. The barn at Goring was carefully restored and reconstructed to provide a temporary chapel. The alterations were completed in 1937. A Miss Thornly had built a ﬁne presbytery at her own expense for the future resident priest. when I had the privilege of saying the first Mass on December 19 and 52 people were present. The War hindered further progress but since then the number of Catholics has considerably increased and further building will bring a further increase. To start with you have this chapel which when the time comes for a church to be built will make a good parish hall; there is also ground for a church. You have also a fine presbytery, the generous gift of Miss Thornly who you should ever remember in your prayers. But the upkeep of this house and the maintenance of the priest is the chief problem. Rates, taxes and insurance have to be met, and the wages of a housekeeper. The house is unfurnished and a certain amount of repair and painting is necessary now – happily I have a certain sum of money in hand to face the latter”. The present English Martyr’s church was built in 1968. By the1964 Centenary year, attendance at the Catholic churches in the Worthing area had increased to about 5000 souls. The stories of St. Charles’ and St. Michael’s was due to the guidance of Monsignor Wall and the considerable fund raising efforts of the parishioners of St. Mary’s who made the new parishes realities. Monsignor Wall obtained planning permission in 1958 to use the land bought by Canon Westlake for a church and presbytery. Until the church was ready for use, the Dolphin public house in Dominion Road, was used as a Mass centre for the three years. O’Connor on June 13 1979.
had a balanced membership both male and female and also in numbers from St. Mary’s and St. Michael’s. He agreed to put their request to the Bishop for the independence of St. Michael’s when he considered the time was right for the idea to be viable. He died in Brighton on June 24 2001. The history of St. Mary’s as a ‘Mother Church’ and provider for her family was completed by the building and finally the joyful addition to the Diocese of a new parish. Durrington, bought by Fr. Westlake in 1938. The Mass attendance of residents in that area had been slowly increasing and it became obvious that the chapel wasn’t large enough for the local Catholic community. St. Mary’s had another task to perform – the buying of a larger site and the building of a third daughter church was required. commencing in early 1965. The following extract from a local paper described the result. beautifully -angular stained- glass windows, designed and manufactured by the Irish State Glass Co. of Dublin. The windows are sited so that on a sunny morning a multitude of coloured beams of sunlight shower on the altar. The outstanding features of the interior are the works of art which adorn it. The 14 Stations of the Cross have been especially commissioned by David O’Connell of Chichester and are probably the most revolutionary of their type in any Catholic church in the country’. With the rapid expansion of the north west Worthing area in the 1970’s, Mass attendance grew proportionally. In 1978 Mgr. Iggleden advised the new Bishop that separating St. Michael’s from St. Mary’s, as a stand-alone parish, was at last viable. It’s area would be Durrington, Salvington, High Salvington, Findon Valley, Charmandean and the town north of the Littlehampton Road. Bishop Cormac formally installed Fr. Harry Salsbury as the ﬁrst Parish Priest during his Induction Mass on Wednesday July 11 1979.
of Repose in a Blessed Sacrament Chapel in the south Transept. The Baptismal font was positioned to the side of the altar in full view of everyone. He also initiated the ofﬁce of Extraordinary Minister of the Eucharist in the parish. Fr. James Clarke, known as Fr. Tony, came to Worthing in 1990. Throughout his fourteen years at Worthing, Fr. Tony was found to be a popular and jovial priest who enjoyed socialising with his parishioners. Steve died of cancer three years after their return while they were still working as Columban Missionaries with marginalised people in the UK. The interior of St Mary’s was redecorated at the Millenium and modern lighting installed. The north rose window was ﬁtted with stained glass. Then Fr. Tony was appointed a Canon by the diocese in 2001 and was given the parish of The Sacred Heart, Cobham, Surrey in 2004. He died suddenly on April 4 2007.
parish from 2004 – 2007 and in their short tenure they introduced amongst other things the First Friday of the Month Mass with Laying-on of Hands for Healing a service that continues today. An important development instigated by Fr. Chris Benyon was the installation of a ‘web cam’ used to broadcast services at St. Mary’s to a worldwide audience. This facility was established to benefit housebound parishioners who were too sick to attend daily Mass. 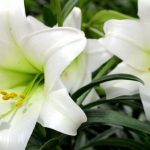 Today it is additionally used by hundreds of people from around the world, helping relatives of parishioners to see the baptism of a new member of their far-ﬂung family or maybe the wedding of a relative. This service also enables people in areas where the Catholic Church may not be able to regularly celebrate Mass to hear the Liturgy of the Word and to watch the Liturgy of the Eucharist. Fr Chris strove to unite the different groups across our large multi-cultural town centre parish. One of these initiatives was to for the parish to celebrate an International Mass whereby our parishioners, who represent over twenty different countries, wear national costumes and come together in Sion School Hall after Mass to enjoy a shared family meal, with many international dishes. This event continues and is enjoyed by many in our parish to this day. In 2012 St Mary of the Angels was one of the largest churches involved in an ecumenical mission called ‘More Than Gold’ in recognition of the London 2012 Olympics. This was organised by Worthing Churches Together and brought together the various Worthing churches to host both Open Door prayer meetings and to run shared events to which friends and families of parishioners could be invited in order to come into the church and to meet the community. Many of the St Mary of the Angels Parish Groups were involved, this helped to grow a sense of leadership and discipleship in our laity – a topic that was very close to Fr Chris’ heart. The parish is now rejoicing for the completion of more than one hundred and ﬁfty years that St. Mary’s has served the town of Worthing, currently under the spiritual guidance of Father Terry Martin. Groups such as the Catholic Aid For Overseas Development, Justice and Peace and the Society of St. Vincent de Paul have always been encouraged in the parish by our priests and many dedicated parishioners. 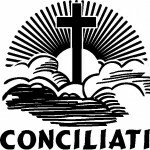 The Knights of St Columba, The Catenian Association and The Legion of Mary have also been ever working to support the parish and sick or lonely. The sale of Fairtrade goods is well supported as is Worthing’s Churches Homeless Organisation, in collaboration with other denominations. The parishioners of St. Mary of the Angels always respond very generously to worldwide appeals and projects for those less fortunate, suffering poverty and starvation. 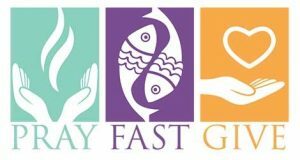 The parish remains faithful to prayer and has a number of regular prayer groups; including Mother’s Prayers, the Charismatic Prayer Group and the Divine Mercy Prayer Group. This has been possible because of the efforts of those people who so many years ago decided that a Catholic church was needed and then strove to undertake the work required to provide the church in which we worship today. We are very proud to be part of a truly universal church with dedicated priests, nuns, bishops and a pope who all lead us and provide such inspiration and hope in a world greatly in need of the harmony, peace and love that was the gift of Jesus to all his faithful followers.